Thank you for your interest in Christ Covenant Presbyterian Church. 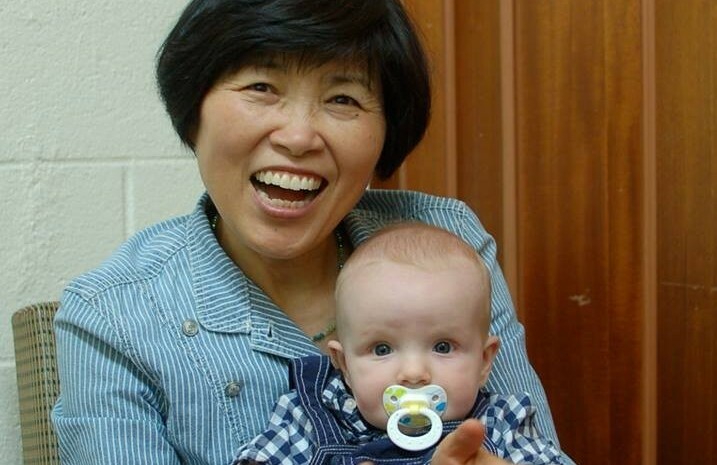 Our church consists of people of all different ages, ethnic and economic backgrounds, families and singles. What binds us together is our common desire to meet with God as He reveals Himself to us through the preaching of His word and the administration of the sacraments. We know that your first time at a church brings up some questions. Here is a quick look at what you can expect each week at Christ Covenant. 220 E. Norristown Road, Warminster, PA 18974. CLICK HERE for directions. Christ Covenant Presbyterian Church meets every Sunday at 10:45 am. There is no set dress code. Although some do dress in coat and tie or dresses, the important thing is that we come clothed in the righteousness of Christ as we gather to worship a holy God. We encourage our families to worship together. We enjoy hearing the babble of babies and murmuring of young children as they learn to worship beside their parents. What should I expect in a service? Many plan to arrive 10-20 minutes early to spend time in quiet meditation on the Scriptures and in prayer. Once our service begins, you will notice that it is different. It is simple, reverent, and filled with Bible and prayer. Our elders take turns reading passages from the Old and New Testaments and bring us exhortations based on the passage read. 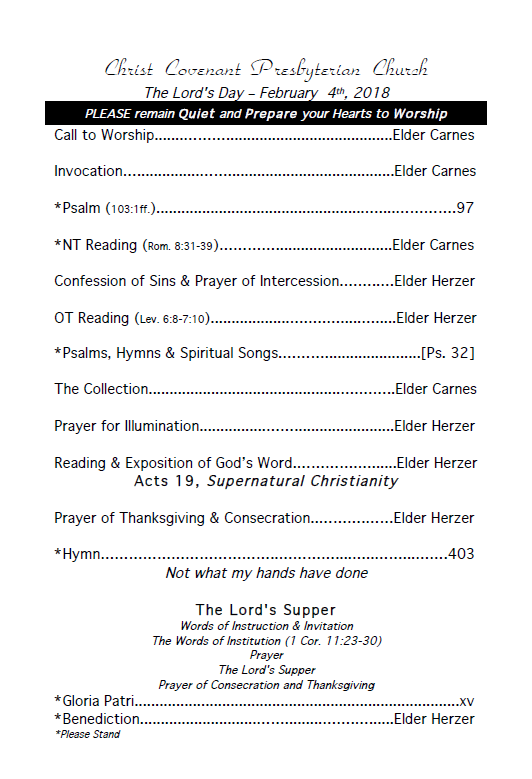 Our Pastor normally preaches expositionally through books of the Bible (sample bulletin). What happens after the service is over? After the benediction is pronounced, we have a moment for announcements and then we mingle and slowly make our way downstairs. We have time to grab a snack as we settle at the tables for our Sunday School, followed by a fellowship lunch each week. Some visitors have remarked how they felt they were able to visit and fellowship more on a single Sunday here than they have been able to for a whole month at other churches! Feel free to contact us at info@ccpc-pca.com if you have any other questions. We are looking forward to meeting you this Sunday at 10:45 am!